"I'm sure he can still make improvements that will help him to become a top rider". 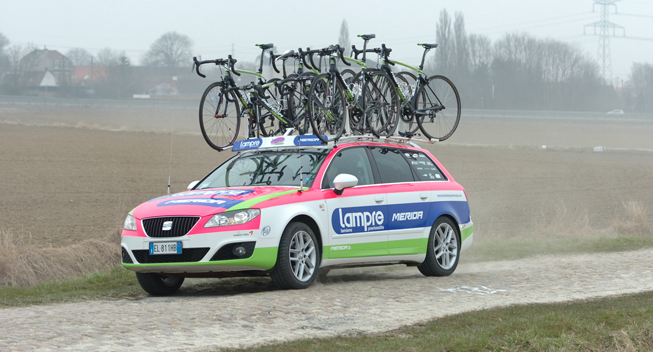 After having set the agreement, now the final step has been performed: Mattia Cattaneo will race in Lampre-Merida in 2015 and 2016 too. The young Italian cyclist officially signed the prolongation of the contract that will give him the possibility to ride in blue-fuchsia-green for the next two seasons. This will be an important period for Cattaneo, who'll receive from the team the responsability that will be graduated on his amazing cycling qualities. "In the early two years he spent in the team, Mattia receive the appreciation from the whole team thanks to his accuracy, his intelligence, his manners, in addition to his top cycling skills - team manager Copeland explained - Going on working in this way, Cattaneo perform great improvement, that's why we'll be happy to count on Mattia in order to set aspiring targets. I'm sure he can still make improvements that will help him to become a top rider".